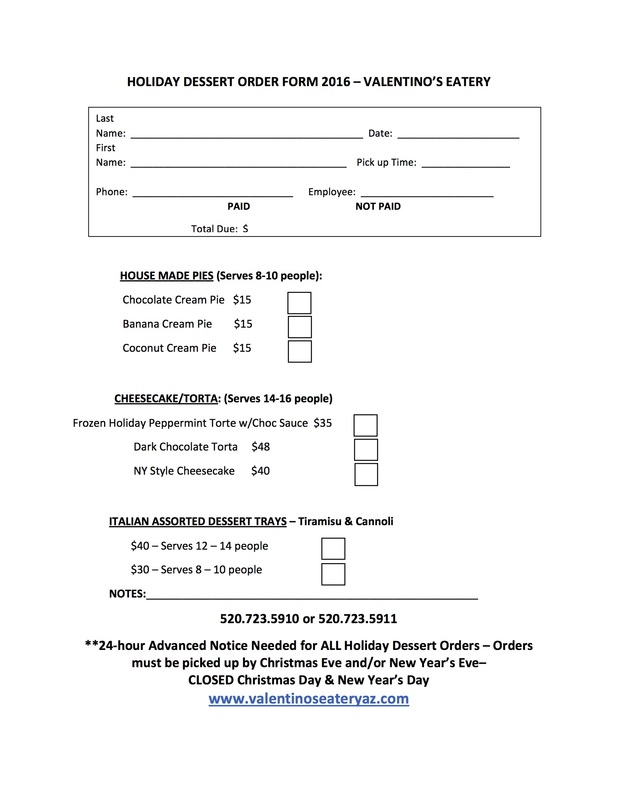 Holiday Dessert Order Form - Valentino's Eatery Best Italian food in Anthem at Merrill Ranch Community Florence, Arizona. © 2014 Valentino's Eatery. All rights reserved.